Twitter’s taken a turn towards the local and getting on board now will sow the seeds of success for the future. Like any social media, connecting with customers is one of the ultimate goals for local business and these tips will help expand your 140 character reach to those you need most – local customers. 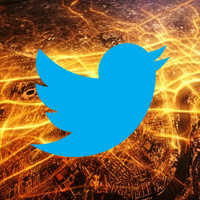 According to reports Twitter is creating a local tweet tool that will use geo-location to showcase local tweets. Taken to its logical conclusion, something like this is not far removed from target based ads based on geographical location. It’s something that could be worth its weight in gold for local shops and businesses. So, how do you get ahead now? Twitter’s advanced search option lets you refine phrases by location. So, all you do is type a phrase that you imagine may be tweeted and then enter the location in the ‘Near this Place’ option. You can also monitor the search for future reference. For those looking to gain influence in their locality, we’ve got the perfect tool. TweetGrader allows you to locate your city and its top influencers and most active accounts. This means you can then try to garner some influence from these people or businesses by interacting with them and increase your profile in the immediate area. This should help put you on the local radar. Your competition should in a lot of ways dictate your strategy online and keeping an eye on them and their social media attempts is important. There’s often a lot to be learned from local competitors – so keep an eye on them. Being a local business, you most likely already have a quite large customer base – don’t forget this. A lot of local businesses forget to promote themselves to their current base on social media. So, remember to spread the word about your Twitter presence by adding signs to your store, business cards, other social media profiles and wherever you can think of. They need to know you’re on Twitter before they join you – remember that. We regularly make this point, but often people tend not to follow it. When tweeting or using any sort of social network, remember that success is not about your promotions or advertising, it’s about adding value to the user experience and in a lot of ways entertaining them. People don’t want to be spammed, so even though it’s a place for promotion – keep 80% of the tweets about them and around a fifth about you. In a world where online marketing and social media is becoming increasingly local, getting started on Twitter in a local manner before it hits the mainstream gives you a significant advantage over your competitors. Need help with your social campaign? Click here and learn more about our social media management services.